Disney’s California Adventure continues in the right direction, with Walt Disney Imagineering transforming a barren desert known as Condor Flats into a lush mountain airfield that will become part of the adjacent themed land. The make-over followers the additions of Cars Land and Buena Vista Street, along with a large number of changes to Paradise Pier. Since most regard Condor Flats as something of a failure, it will surely please visitors to see the new Grizzly Peak Airfield in it’s place. The former grill will re-open as Smokerjumpers Grill in a salute to Pixar film “Planes: Fire & Rescue”. 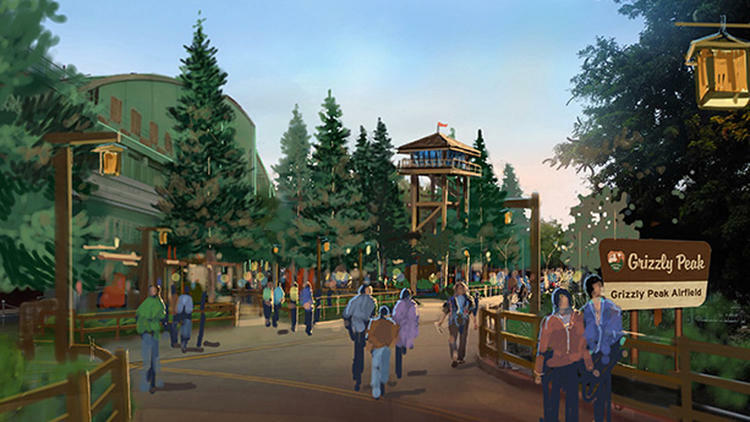 There is a number of other improvements planed such as Soarin’Over California which will open later in Spring 2015.